For another TAFE assignment I had to do at least a days work placement at a design company. 'Ink & Spindle' have allowed me to travel to Melbourne and join their team for a few days, to learn what the design industry is really like. Not only does this allow me to complete my work placement assignment, it will also help me with my previous mentioned assignment (to design a fabric based on 'Ink & Spindle's design process). I can also show them the fabric that I have designed and get their opinions. 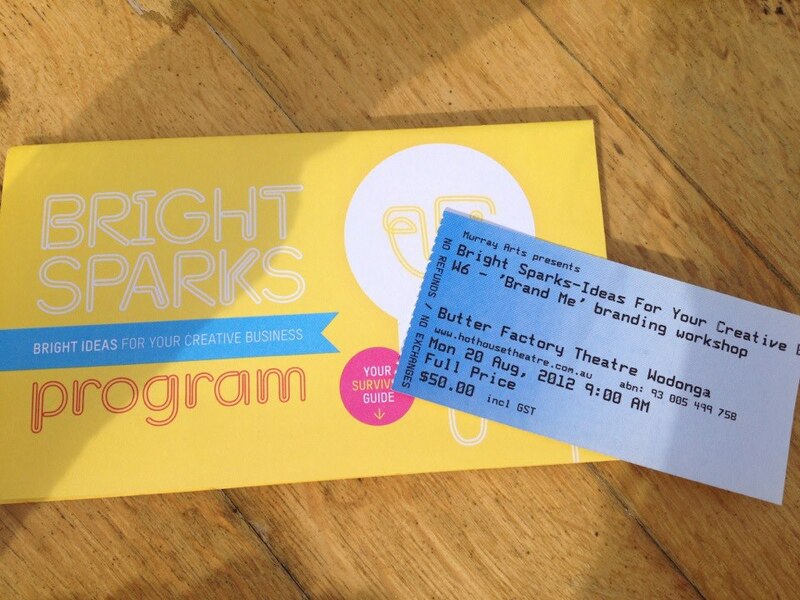 I went to 'Bright Sparks' today and heard about different creative fields and how to enter the design history. 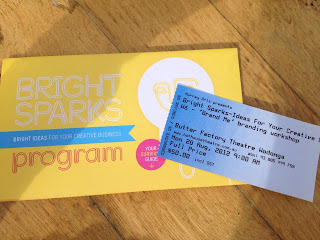 I attended a workshop about how to create a brand and logo, very interesting!